The Bureau of Reclamation developed irrigation projects in the 17 western states that provide water to over 10 million acres of farmland. 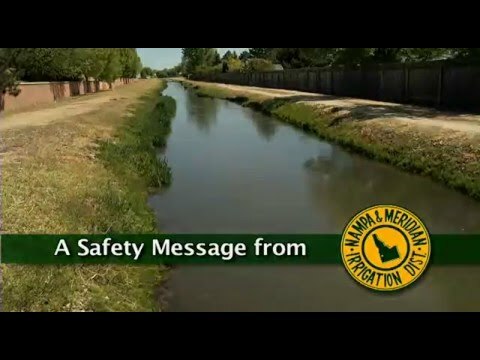 Managed directly by irrigation districts with locally elected boards of directors, the districts are responsible for the operation and maintenance of their facilities; however, the title or actual ownership of the districts is held by Reclamation. 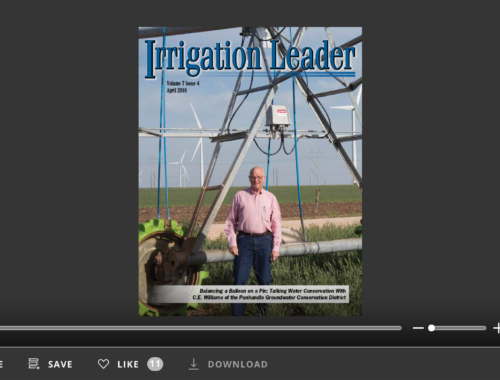 Historically, Congress appropriated funding to Reclamation for the construction of the irrigation projects and large scale repairs that would be paid back through negotiated contracts with the respective districts. In times of limited federal budgets, however, obtaining needed funding through Reclamation and its various programs is problematic. The money simply is not available in the amounts and terms needed. While districts have the ability to issue bonds, those districts owned by the federal government may only use their revenue streams as collateral. They cannot borrow against their land or facilities because they do not own them. 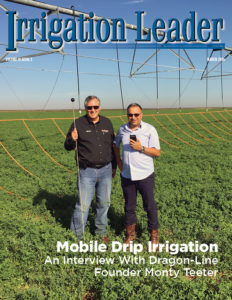 This issue of Irrigation Leader discusses title transfer from the perspectives of managers and board members of five separate successful title transfers and the work they have been able to do as a result of their respective title transfers. Matt Lukasiewicz, Tom Knutson, and Arlan Hosteltler share their experiences related to the Loup basin transfer. Bennie Hodges, Rick Dieker, Dale Swensen, and Gary Esslinger all discuss the many extraordinary challenges associated with their transfers. Additionally, we have a guest column from James Hess of Reclamation, who does an excellent job of outlining the various issues that must be addressed when considering title transfer. Chairman Rob Bishop of the House Natural Resources Committee correctly points out that of the hundreds of irrigation districts created by Reclamation, only 27 have successfully obtained title transfer in the last 20 years. Chairman Bishop extols the virtues of title transfer for districts and the federal government while offering his commitment to work with Reclamation and those interested in pursuing transfers. 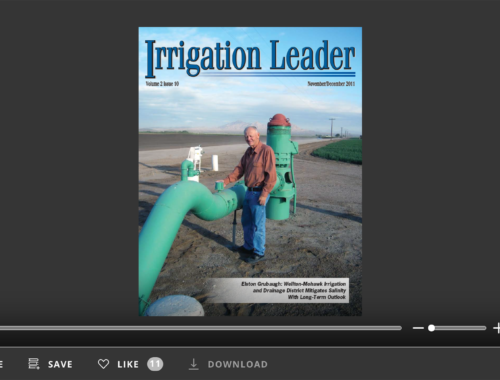 It is our hope this issue of Irrigation Leader is helpful to those who may be in need of the borrowing collateral a title transfer can provide and a contact list of seasoned title transfer veterans. I know everyone in this issue would welcome your phone calls and questions about title transfer.